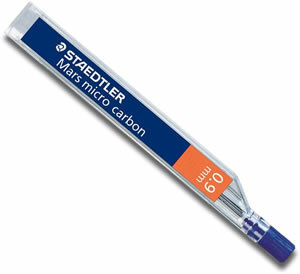 Staedtler offer a superb range of mechanical pencils using advanced graphite technology for superb results. 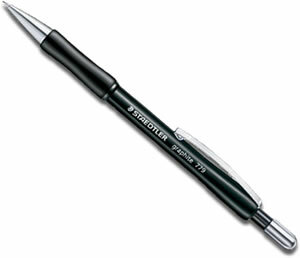 With cushioned leads to prevent breakage Staedtler propelling pencils give an exceptionally smooth writing experience. Staedtler Mars Micro Mechanical Pencils are high quality propelling pencils with a comfortable rubber grip zone and a retractable metal lead sleeve. Staedtler Graphite 779/05 is a 0.5mm propelling pencil that has an ergonomic rubber grip zone, cushioned leads to prevent breaking and a retractable metal lead sleeve. One of the nicest budget mechanical pencils around! 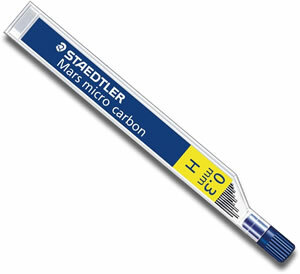 Staedtler Triplus Micro 0.5mm Mechanical Pencil has a comfortable, ergonomic shaped barrel for easy gripping. With a chrome plated metal tip and a retractable metal sleeve. The screw in/out eraser is extra long and this pencil boasts minimal lead wastage, using 95% of the lead. 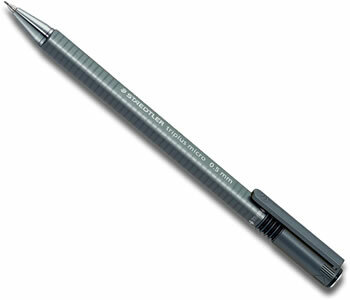 Staedtler Triplus Micro 0.7mm Mechanical Pencil has a comfortable, ergonomic shaped barrel for easy gripping. With a chrome plated metal tip and a retractable metal sleeve. The screw in/out eraser is extra long and this pencil boasts minimal lead wastage, using 95% of the lead. Staedtler Graphite 779/07 is a 0.7mm propelling pencil that has an ergonomic rubber grip zone, cushioned leads to prevent breaking and a retractable metal lead sleeve. One of the nicest budget mechanical pencils around! 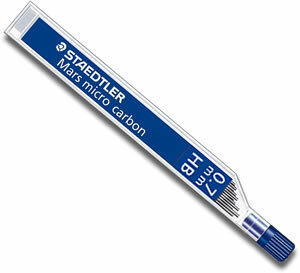 Staedtler Mars Micro leads are top quality highly flexible leads with a well designed, easy to refill tube.